Designcolour provides the highest quality of embroidery and printing onto polo-shirts, t-shirts, sweatshirts, fleeces, jackets, caps and beanies as well as many other uniform clothing items. 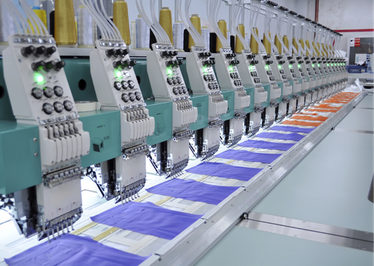 We are one of London’s premier embroidery companies producing hundreds of quality embroidery garments every day. Designcolour employs the latest computer-controlled embroidery machines coupled with the highest quality threads to produce a highly professional finish, with all work being checked for quality before being despatched to our customers. By using embroidered uniforms for your staff you are sending a true image of quality to your customers ensuring that your staff appear smart and presentable. Also by choosing embroidery you are guaranteeing the decoration will last the life of the garment. Designcolour is an established family run embroidery business which provides customers with a vast range of garments and promotional accessories, at the most competitive rates, whatever the occasion. We offer the fastest lead times and a personal service to each and every one of our valued customers. Our customer base includes a wide range of promotional and marketing companies, sports and leisure clubs, schools and school shops for school badge embroidery, colleges and universities as well as a wide range of corporate companies which are both local and national. 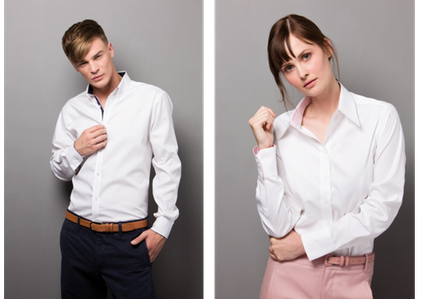 We also carry out numerous commission-based jobs for a variety of specialised uniform providers on ready-made garments as well as specially treated fabric panels which are to be used for customised corporate clothing. A complete embroidered badge and epaulette making service is also offered from sew-on badges to Velcro and iron-on badges supplied to your size requirements. Embroidery can be executed on a comprehensive range of garments including leisure wear, work wear as well as formal clothing, all of which can be supplied from our extensive range of stock, and can be viewed from our on-line brochure. Requirements for customised garments can also be sourced from various national and global contacts. Your designs can be produced accurately and quickly. Custom designs can also be created at your request. Individual quotes can be offered within 24 hours, with samples delivered within 72 hours and typical lead times being 7-10 working days. For promotional or corporate events your requirements can be serviced quickly and efficiently by our friendly and helpful staff, who are ready to discuss your ideas with you. Please call us for FREE using our Click to call button or call 020 8838 6611. Alternatively you can email us using the form on the Contact Us page or simply email sales@designcolour.com. We look forward to hearing from you.